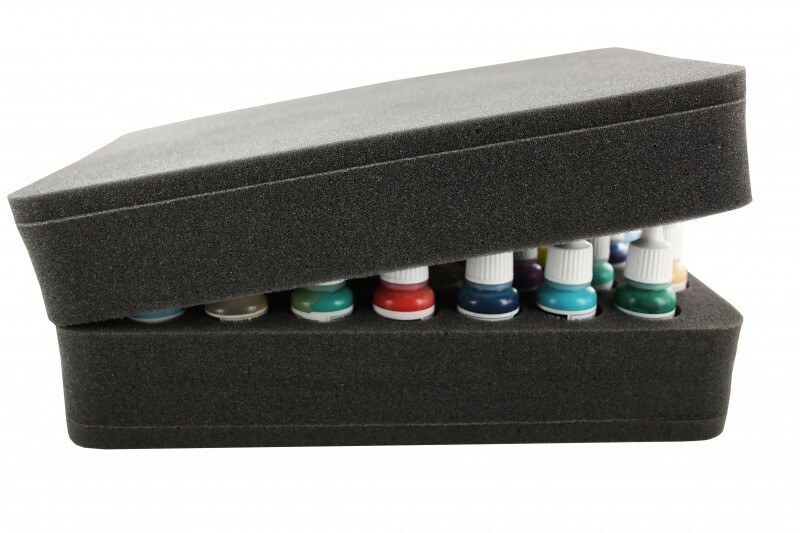 On the table, shelf, in the drawer or of course in all Feldherr bags and cases - this foam tray always fit for storing / organizing paints from Vallejo and Army Painter. A foam insert has 37 round compartments. 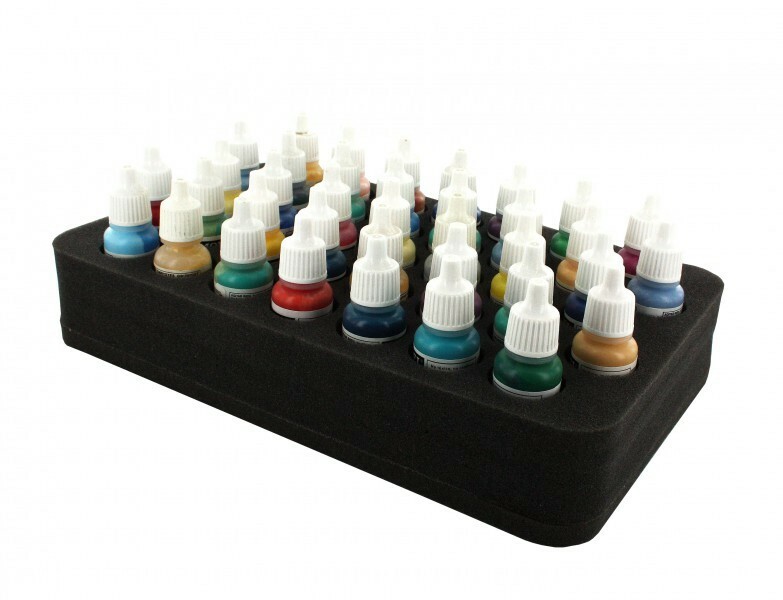 To transport the paint pots, we recommend a second tray as a "lid" / cover. The packaging unit is 1 piece. The 50 mm depth of the foam is result from 10 mm foam base and foam tray with 40 mm effective thickness. This foam tray is also available in 70 mm version - HS070P1BO!